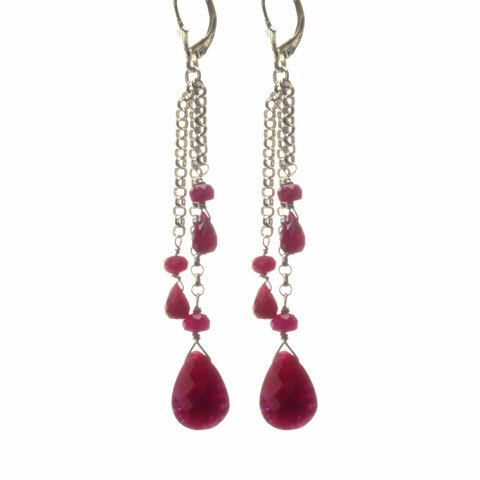 Precious Ruby teardrops and discs dangle from delicate sterling chains. Hundreds of facets display the workmanship of these hand cut stones ; they capture the light so you can glisten . Secure sterling lever back closure.